It is always nice to see the picture of our loved ones when they call us. But downloading their photos and then setting them as contact photo is a tedious job. What if we can simply set their WhatsApp photo as contact picture. Yeah! That seems to be a pretty good idea. Well, there is an App for that in google play store. Let me explain the process as steps. · Open it. You can see all your contacts in the app. The left side photo represents your current contact photo and right side one represents the photo available in WhatsApp. Remember, the right side photo will not be available until you save the person’s picture in WhatsApp manually. Main Screen, Left side photo represents current contact photo and right side is the available whatsapp photo. · Select the contact which you want to update photo. · The application will ask for a confirmation to launch WhatsApp. 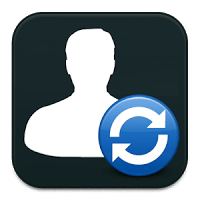 Click OK.
· This will launch WhatsApp profile of the person. Click on his/her profile pic and Save it (Share -> Save to gallery). · When you come back to the Contact Photo Sync App, you will be given another prompt to confirm the photo update. · Click YES, or YES, Not Show Again. · And yes! You are done.